Heat oil in a pressure cooker and when hot, add the fennel and black cumin seeds. Let splutter, add the cardamom, cloves, bayleaf, cinammon, star anise and when they start giving a nice aroma add the cashews and fry for 1 min. Add green chillies and onion and saute till the onion turns golden brown. Add ginger-garlic paste and saute for a min. 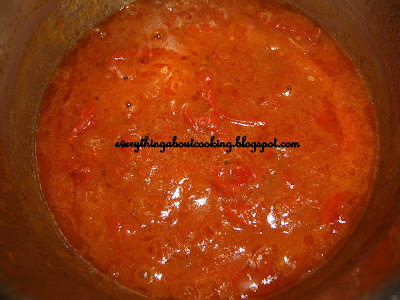 Add the chopped tomato and let cook till oil separates. Add the carrots, mushrooms, mint leaves, salt, chilli pwd, tumeric pwd, garam masala pwd and cook till oil separates and the water dries. Add 2 and 1/4 cups boiling water and adjust seasoning. 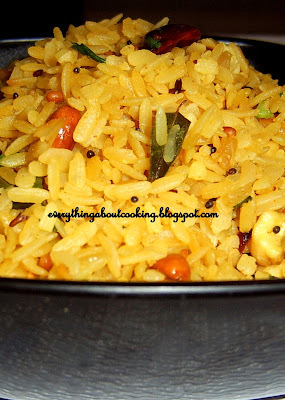 Add rice, mix well and close the lid. Add cook for one whistle. Switch off and let stay for about 5-8 mins. 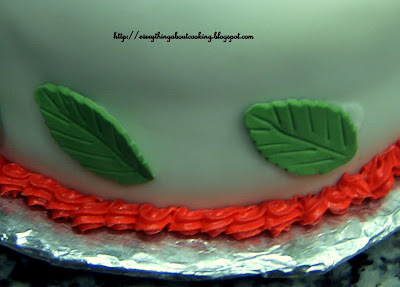 Open lid and add lemon juice , garnish with mint leaves and serve with onion slices and raitha. 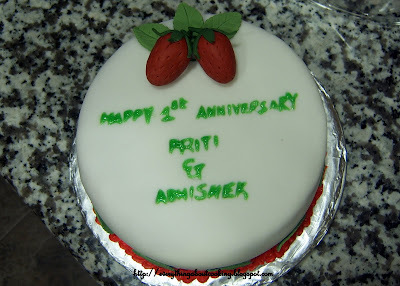 This is my first cake after a 5 yr sabbatical from cake decorating. 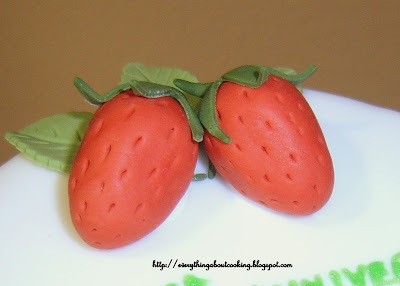 Strawberries and leaves are made out of gumpaste. 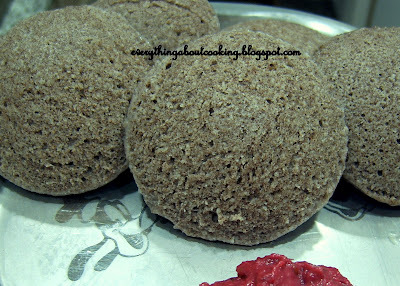 Ragi idli, I first saw these beauties at Shilpa's blog, Aayi's recipe and have been meaning to try them ever since but never got around to it till today. 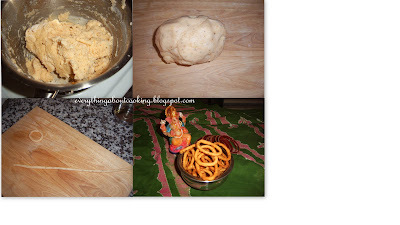 I used urad flour instead of soaking urad dal and grinding( you see 'm bit of a slacker) and also I was not sure how the two flours will be can give nice and soft idlis so added idli ravva to it. 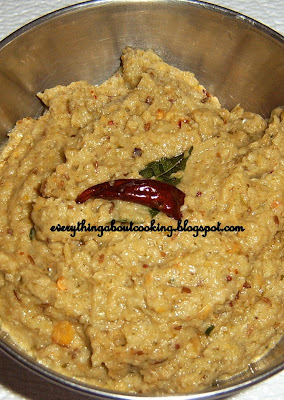 Also no soaking the dal and grinding it just mix everything together and you are done. 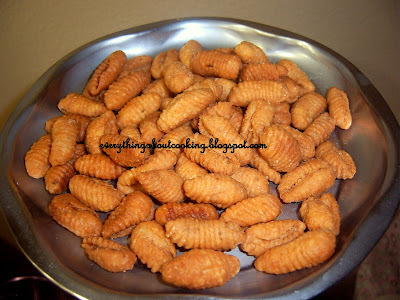 Do try them, they are nutritious, tasty and very easy to make. 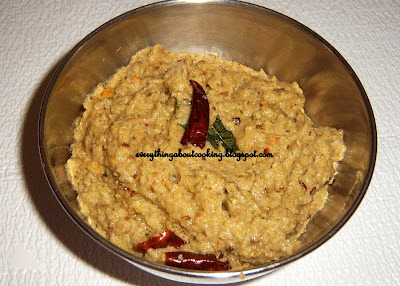 Add ragi flour, urad flour and washed idli ravva and water in a big bowl( the batter will rise during fermentation) and mix well with out any lumps. The consistency should be of the normal idli batter. 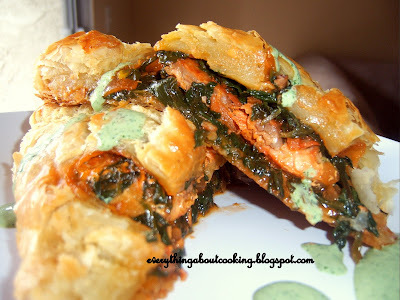 Cover and keep it in a warm place like oven overnight . The batter will increase by the next morning. 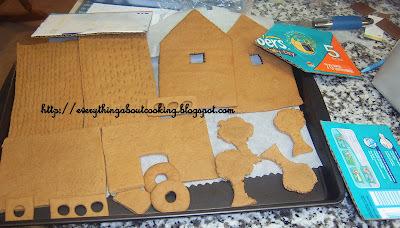 Add salt and baking soda if using and mix. Grease the idli plates with oil or ghee. Pour a ladle full of batter into each mould. Pour 1&1/2 cups water in a pressure cooker and put in the filled idli stand in the water and cook on high heat for 3-5 mins or till u see steam coming. Reduce heat to medium and cook without the whistle for 11-12 mins. Switch off, let stay for 5 mins. 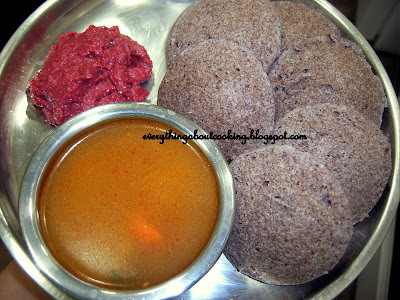 Wet a spoon and scoop out the idlis from the idli plate and serve with chutney and sambar . This is my contribution to JFI-Raagi , an event hosted by Madhuram . Jhiva is a brain child of Indira . 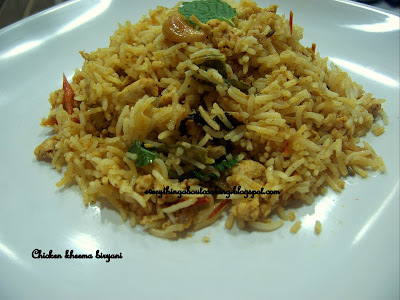 Kheema biryani...I always wondered how to make it. Yesterday I wanted to make one pot dish as I was in no mood to clean the a load of dishes and so made this. S and M loved it . Add salt, water, black cumin, fennel seeds, the pouch with whole masala, oil,soaked rice and cook till done. Heat 3 tbsps oil in a wide pan and when hot, add the green chillies and onion and saute till the onion are translucent. Add the ginger-garlic paste and fry till the raw smell disappears. 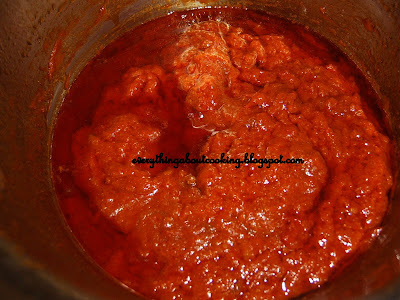 Add the chopped tomatoes and salt and saute for 2-3 mins and add tumeric, red chilly pwd, cumin pwd, corriander pwd, meat masala,sugar and saute till oil separates. Add the chicken mince and break down and mix well and saute till the chicken is cooked well. 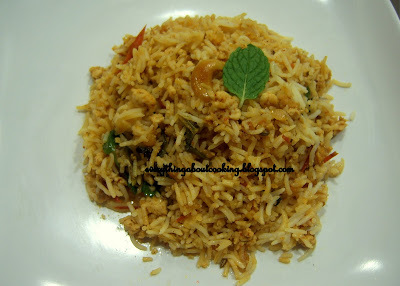 Add the cilantro and mint and switch off the stove and add the cooked rice and mix well , taking care not to break the grain. 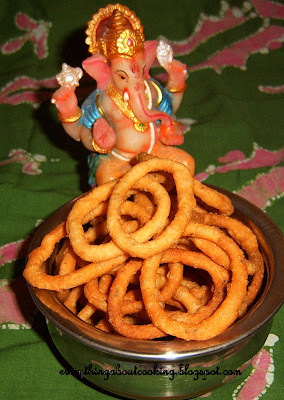 Sprinkle the lemon juice, garnish with onion rings and serve with raitha. Enjoy!!! 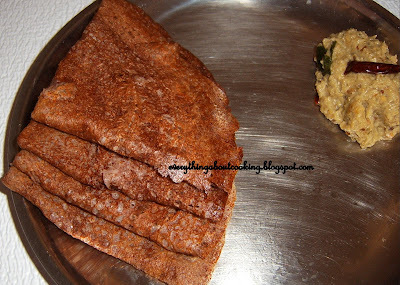 Yesterday night I realised that I forgot to soak urad dal and rice to make dosas for todays breakfast and my son M has been pestering me to make dosas for a couple of days now, so I thought of making dosas with the urad and rice flours. 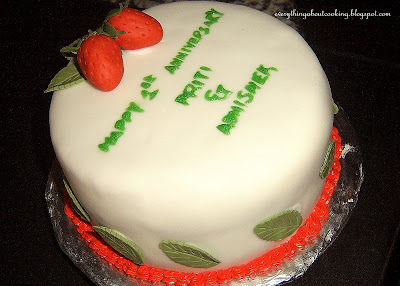 But what do u know 'm all out of rice flour but found some raagi flour so I thought why not...........and am glad I did. Do try these, you won't be dissappointed. 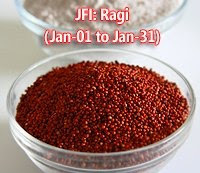 Mix together the raagi flour, urad flour, sooji, fenugreek seeds pwd . 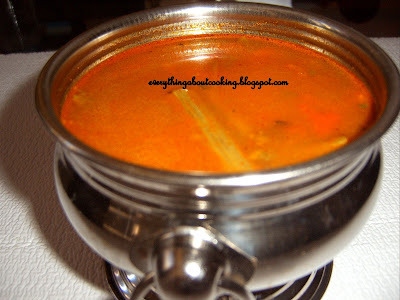 To this add water slowly ( can add warm water if you like). Avoid any lumps.Keep in a warm place over night or 8-10 hrs. 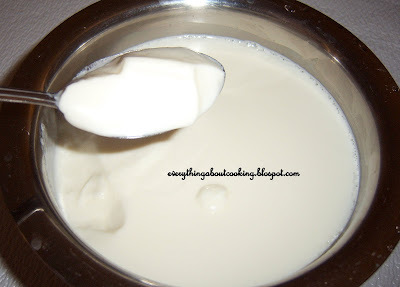 After fermenting, add salt to taste and water to make it into the dosa batter consistency. Heat a griddle or flat pan, take a ladle full of the batter and spread it in a circle (flame should be on low) and add / spray some oil and cook on one side till it turns golden brown, turn with a splatula cook for an other min(medium-high heat). 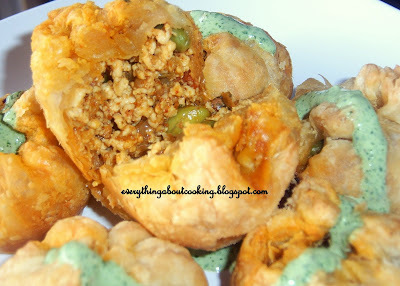 Serve with any chutney or pickle.Enjoy!!! Note: The flame should be on low when spreading the dosa batter and on medium-high after adding the oil. 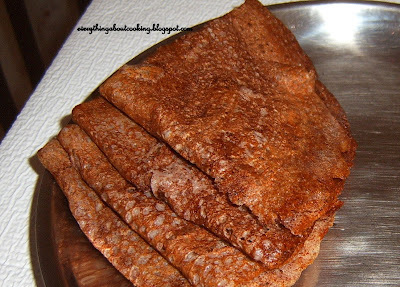 Mix the batter well before making each dosa.Add more water if required. I had this lone half piece of aanapakaya/bottle gourd lying in the fridge for a couple of days, so I made pacchadi/ chutney for the ragi dosas I made for breakfast today. 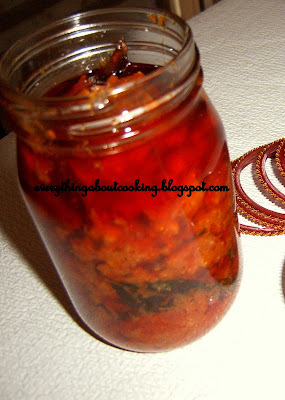 We enjoyed this chutney with dosas. Heat 1tbsp oil in a kadai and add the urad dal, chana dal, seasame seeds, cumin seeds, peanuts and saute till they turn golden brown (take care not to burn), let cool and grind into pwd. 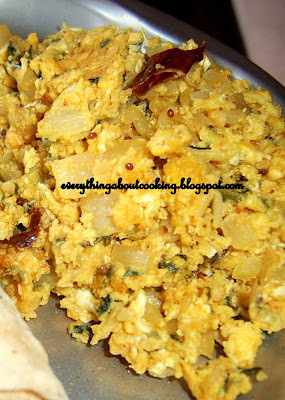 In the same vessel add the slit green chillies and after a minute add the chopped aanapakaya/bottle gourd pieces. Saute till they are almost cooked. Add the garlic, tamarind, cilantro and saute for another 3 mints. Switch off and keep aside to cool. Grind it along with some salt and add the pwd we made before hand. Heat 1 tbsp oil in a kadai and when hot, add the mustard seeds, cumin seeds and when they splutter, add the urad dal and let it cook for 1-2 mins. 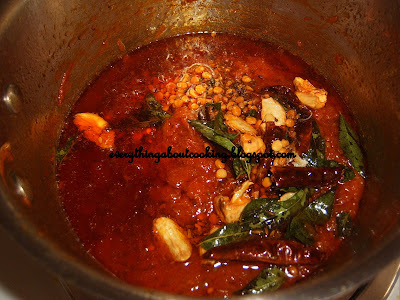 Add the red chillies and curry leaves and saute for 30 secs and switch off. 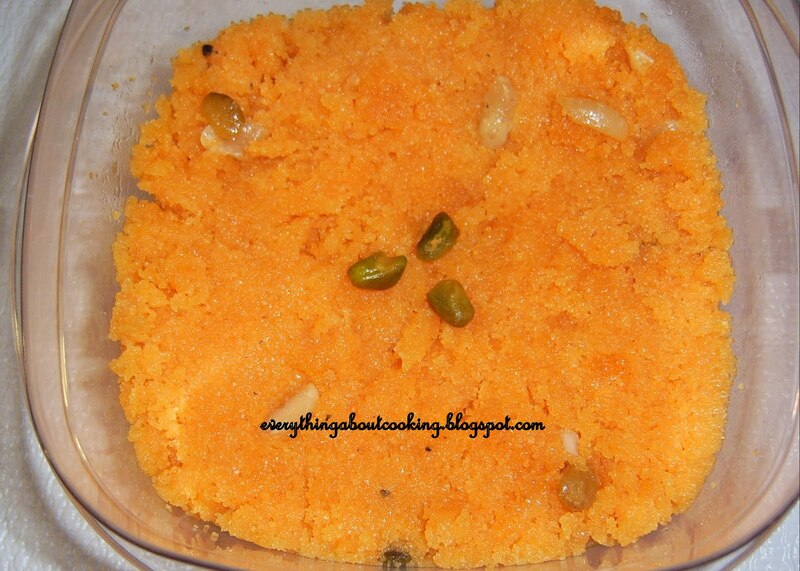 Add to the pacchadi/ chutney, mix well and serve with dosas, idlis or with rice. Enjoy!!! Both nanamma's(dad's mom) and ammamma's (mom's mom) backyard had drumstick trees. Mouthwatering dishes were made from the leaves and drumsticks. 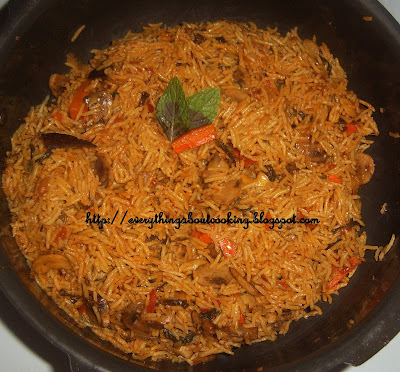 This is one of them, easy and tasty. Heat a deep vessel and add drumsticks, salt, sugar, red chilli pwd, tumeric pwd and 1/2 cup water and cook for 5 mins with lid closed on medium flame. Add the tamarind, jeera pwd, corriander pwd and water and boil for 8 mins on medium to low heat with the lid on. Add the garlic and cilantro seeds. Switch off and keep aside. 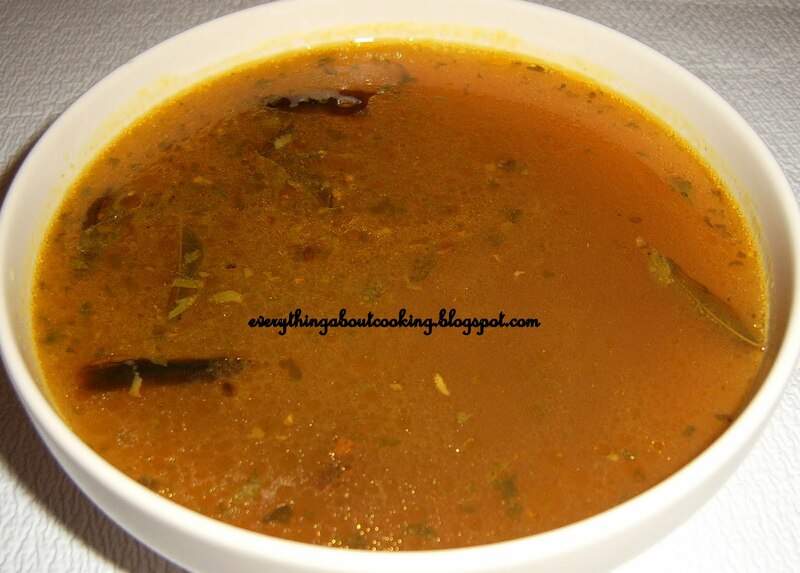 In a kadai, heat 1 tbsp oil add the mustard seeds , cumin seeds and the methi seeds and when start to splutter, add the dried red chillies, curry leaves and hing if using, saute for a min and add to the rasam. Check for seasoning and serve with rice or you can have it as is. Enjoy!!! 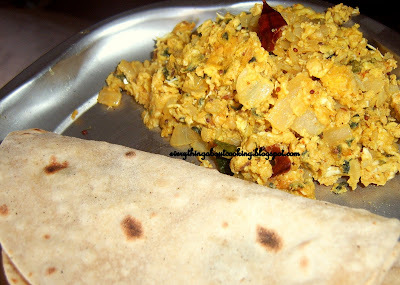 My ammamma makes the best ooragayalu and with any vegetable. 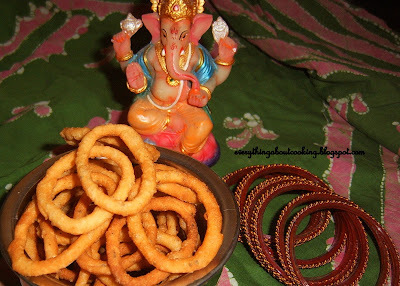 Every year she sends me avakaya (Mango), allam pacchadi(ginger pickle), tomato pickle and we enjoy them year long. She makes tomato ooragaya many ways. This is one on them. Wash the tomatoes and cut them. Heat oil in a heavy bottomed, deep kadai and add the chopped tomatoes and cook on medium heat for 5 -10 mins, stirring occasionally. Add the tamarind (u can also soak the tamarind in very little water and extract thick pulp and add this instead )and tumeric pwd and cook on medium heat stirring occasionally for another 15 mins. 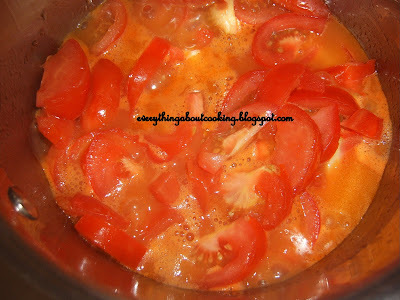 Reduce heat and cook till the oil separates from the tomato mixture, stirring once in a while(take care not to burn). Add the salt, pickle chilli pwd, mustard pwd, methi pwd , sugar and mix well and cook stirring for 5 more minutes. Keep aside. Heat the oil for talimpu/tadka and when hot, add the mustard seeds, cumin seeds , methi seeds and when they splutter, add the chanadal, urad dal and saute for a minute. Add the garlic, dried red chillies, curry leaves and saute for 2 mins. Switch off and add this to the tomato mixture. Mix well. 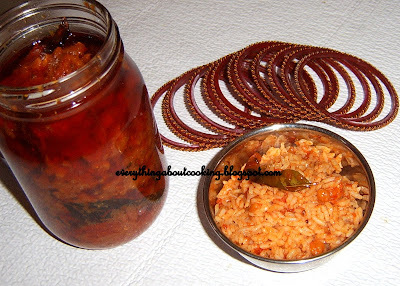 Cool completely and transfer into a clean and dry jar/ bottle/jaadi. Enjoy!!! Note: Reduce the amount of oil if you want. Taste and make sure that there is enough salt (if there is less salt, the pickle will be spoiled. ).Donot add all the salt at once. Add some mix and taste and if not enough add some more.ALWAYS USE A DRY SPOON WHEN HANDLING THE PICKLE. IF U DON'T, THE PICKLE WILL SPOIL. 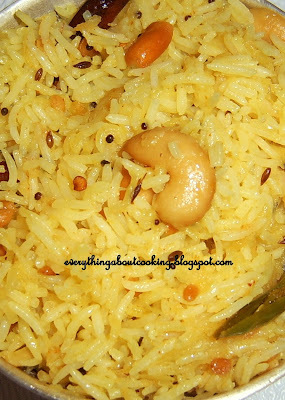 Mango rice is basically cooked rice mixed with grated mango and tadka. 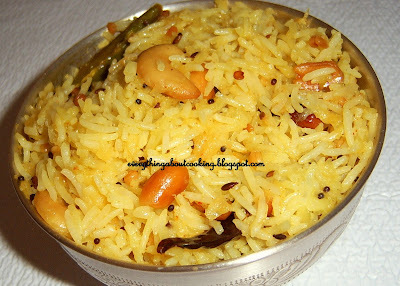 Ammamma(mom's mom) and amma made (still ) mamidikaya annam/ mango rice every summer. We have a mango tree in our backyard and also get mangoes from our groves in the village. All the kids looked forward for this treat. 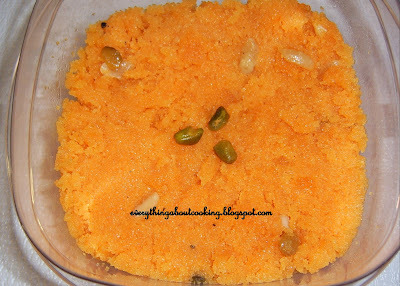 I bought these mangoes to make chutney but opted to make this instead and am so happy I did :). 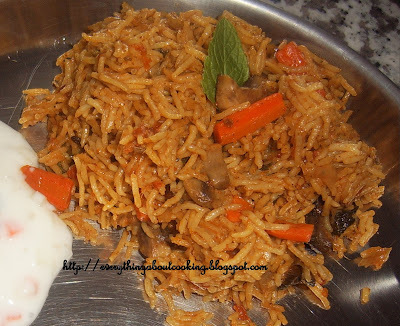 Cook rice with a little oil in it (it should not be mushy and should retain its shape) and fluff with fork, keep aside. Heat oil in a kadai and when hot, add the mustard seed, cumin seeds. When they start to splutter, add cashew nuts and peanuts, urad dal, chana dal and saute for 2 mins or until they are roasted. Add the dried red chillies, slit green chillies, curry leaves, turmeric, hing and saute for a min. 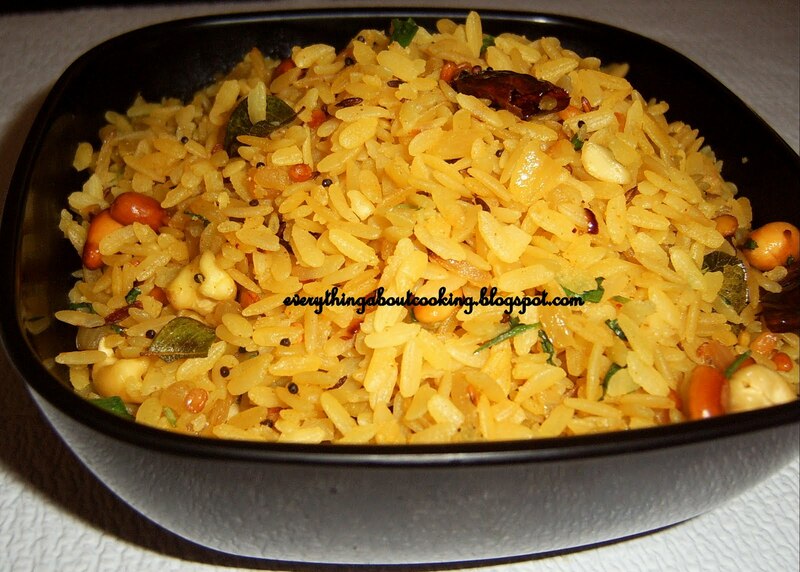 Add the grated mango and salt and saute for 2-3 mins, check for salt and switch off. Add the cooked and fluffed rice and mix/fold in gently. You can also add a tbsp of chopped cilantro if u like. Enjoy!!! 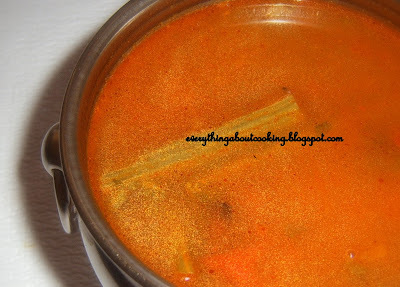 I make this rasam when S catches a cold and/ cough. But I up the amount of ginger and pepper. It is very soothing. Grind to paste ginger, green chillies, garlic, cumin seeds, corriander seeds and keep aside. 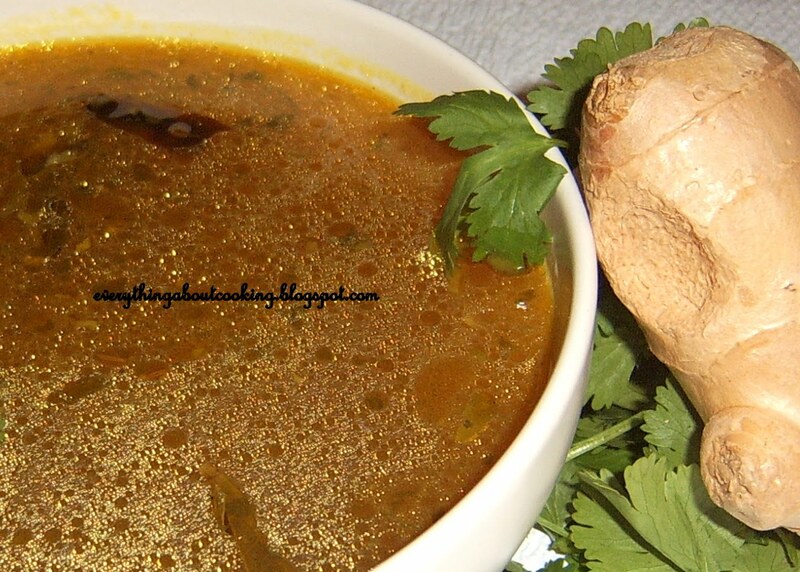 Boil water with the tamarind juice, salt, tumeric, curry leaves for 5-8 mins. Add the paste and boil for another 10-12 mins. In an other pan heat 1 tbsp oil add the mustard seeds and cumin seeds and when they start to splutter, add the methi seeds, red chillies and curry leaves and saute for 1-2 mins and add this to the prepared chaaru. Garnish with chopped cilantro and serve with white rice or have it as is. Enjoy!!! You can also grind 2 tbsps of cilantro and add ground black pepper. 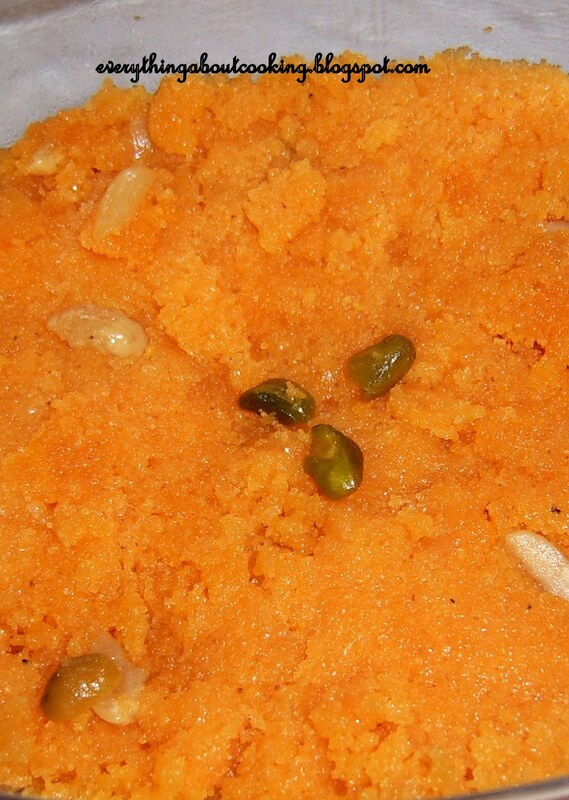 Ravva kesari is made as an offering to god in our house every saturday and also during Satya Narayana Swamy Vratam. 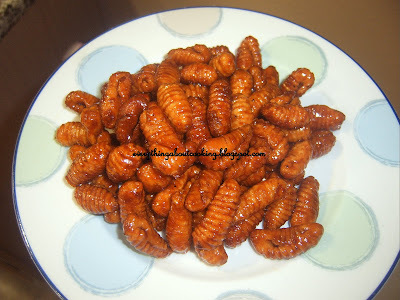 This can be made very quickly and so I opt this as a dessert when we have friends over unannounced. Fry the nuts and raisins in 1 tbsps ghee and keep a side. Heat a heavy bottomed pan and add 3 tbsps of ghee and add the sooji and saute till it turns light brown and a nice aroma fills the kitchen. 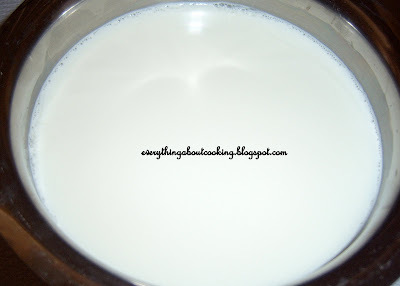 Meanwhile boil the milk and water add the color if using. Add to the sauted ravva stirring constantly to avoid forming lumps and cook for 10-12 mins, adding more hot water if required. When the ravva is cooked, slowly add the sugar, the remaining ghee and the fried cashews, pistachios, almonds and raisins and cook for 3-4 mins. Serve warm. Enjoy!!! Back in India, we ate (they still do) lots and different kinds of fish. 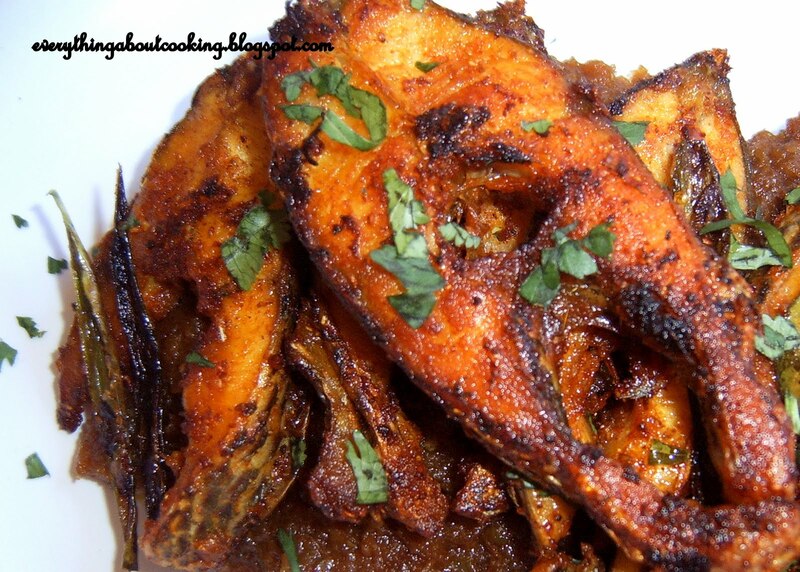 I love fish curry, fried or baked. But after coming here its limited. For some reason i donot like to make traditional Indian curries or fry with the fillet we get here. So this week when I went to an Asian market I bought a live tilapia , asked the guy to clean it and cut it into steaks just like in India. 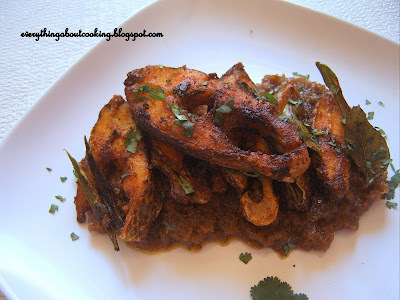 After coming home I made fish fry and had it along with white rice and rasam. The combination was great. Mix all the above with the fish and keep aside for 15- 20 minutes or longer if you can. Heat a little oil in a pan and add the curry leaves and when they start to splutter, add the marinated fish pieces one by one and cook on medium- low heat for 5 mins on each side. Keep aside. Heat some more oil about 2 tbsps in a pan and add the ground paste and fry till the raw smell disappears and the oil separates. Add the fried fish and saute for 2-3 mins and garnish with cilantro.Serve with rice or on its own.Enjoy!! !